When I first discovered Yoga over 15 years ago I immediately experienced its transformative powers. Yoga saved my life when I was going through a very painful emotional transition in my life and yoga continues to save my life, keeping me balanced every day. Whether I am teaching or practicing Yoga, my happiest place is being on my mat. My mat never disappoints and it is my most honest teacher, listener, healer and challenger. I seek to inspire and empower others to pioneer their personal wellness path on and off their mat’s. Kristen McQuaide, Registered E-200 HR + 500 RYT, Aerial Yoga Certified. I am the owner/director of T H ES P A C E Yoga Studio in Visalia, California, USA. Co-Creator of FireFlex Yoga; yoga based wellness program for fire fighters. I have studied under the internationally recognized and advanced yoga teacher Peter Sterios ERYT-500 founder of LEVITYoga™, MANDUKA™ Yoga Mats, and creator of the popular yoga DVD series “Gravity & Grace”. After graduation Kristen was asked to be the first LEVITYoga™ Teacher Trainer. Currently studying to become an Ayurveda Therapist, under James Bailey LAc, Dipl Ayu, ERYT 500, licensed acupuncturist, Yoga + Ayurveda Master Teacher, Found of Sevanti wellness center . Nicole has always shared her love for fitness and exercise in finding a mind-body connection. She moved from Philadelphia, Pennsylvania and brought with her a background in kinesiology and business. Her practice has evolved from physical cross training in high school to finding a place of calm and stillness in the mind, often with a focus on chakra awareness. Her classes are intelligently sequenced with compassion and humor. 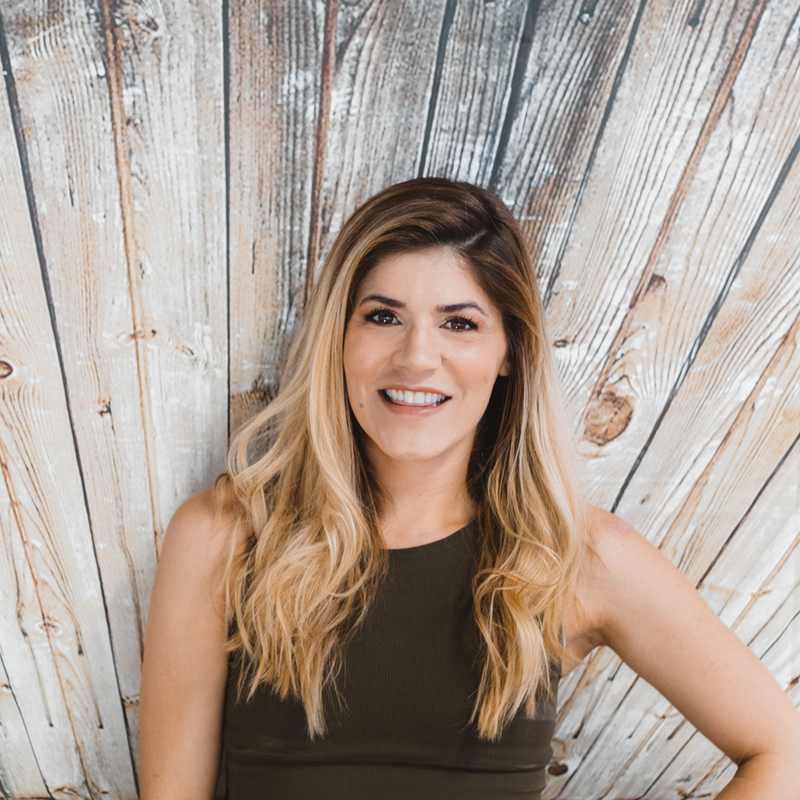 Nicole is passionate about philanthropy, traveling, hiking and striving to lead a healthy, well-balanced life while promoting that lifestyle to others. Nicole is also a Reiki practitioner, a Japanese form of energy work for stress release. You may contact her to schedule private sessions. Follow her on Instagram @nicoleatudor. Nicole Saputo has been hooked on yoga since her very first class in 2013. She knew right away that it was something she would practice for the rest of her life. Already a high school English teacher, she knew that teaching yoga would someday be in her path and she could not be more grateful that Denise brought teacher training to Visalia. Nicole is a 200 hour RYT and completed her training with YogaWorks. With practicing yoga has come so many benefits for Nicole, both physically and mentally. It has transformed her body to be healthy and strong and has given her a peaceful and positive outlook on life. Nicole has a playful approach to yoga; she believes that it can benefit everybody and body type, and thinks that yoga should primarily be something fun that people can do to lead happier and healthier lives. Emily's passion for practicing yoga and her enthusiasm for teaching is rooted in her sense of yoga as the ultimate form of self care, which she feels is an essential part of a balanced and healthy lifestyle. As a E200 HR + 500-hour Registered Yoga Teacher, she started practicing in 1997 and was immediately drawn to its transformative effects. Emily completed her 300-hour certification in Santa Cruz, California with Mark Stephens, an internationally esteemed teacher and well-known author of several books, including the widely referenced Yoga Sequencing and Teaching Yoga. Emily also completed an independent study with Stephens, which focused on an in-depth examination of the practical and functional anatomy of the joints in yoga practice. She completed her 200-hour training at COIL Yoga in Fresno, California, where she studied under Katie Flinn, James Bailey, Cheri Clampett, Marie DiBona, and Arturo Peal. Emily is particularly skilled in teaching mixed level classes, focusing on the individual needs and intentions of each student. Her alignment-based vinyasa classes are thoughtfully structured, energetically uplifting, wholly welcoming, and leave her students coming back for more. With her home in Visalia, she and her husband Gian are the proud parents of three young children, Luca (6), Annie (5), and Marco (2). Gillian first discovered yoga during her freshman year of college in 2006. She really found her love for yoga around 2009 after her first 'Hot Yoga' class and was instantly hooked. She dabbled in other class over the years and considered taking teacher training early on in Corpus Christi, but the timing was never right. In 2013 she relocated with her Fiance to begin a new adventure at NAS Lemoore. After two years of practicing in the Central Valley, the opportunity arose to take a YogaWorks 200 hour teacher training and Gillian completed the training in 2015. Gillian loves moving her students through class mindfully and safely, while still having fun and sharing a few laughs. Tara is a certified 200 HR RYT + Aerial Certified Yoga instructor. She's been practicing yoga on her own for years. On a whim, she found a studio in Visalia and a sense of community that she'd never come across before. By going to the studio, she found that she could not only find a little space to breathe, but also alleviate the guilt of taking time out of her day for her practice.Trying out an offered aerial yoga class, she was instantly hooked. Inspired by the amazing women teaching and guiding her through her yoga practice, she decided to become a teacher. She now teaches aerial yoga and floor yoga and appreciates all of the wonderful people that share their time with her. Alona first stepped onto a yoga mat a a very young age. Her mom has been, and remains, a fitness instructor for over 36 years, so healthy lifestyles as well as teaching students comes very naturally to her. She spent 9 years in a dance studio practicing every form of dance and expression they would allow. From Ballet, both flat and point, to jazz and tap, to hip-hop and break dancing, movement and flexibility has always been an important part of her life. Her love of yoga began during her first pregnancy with her oldest daughter, where she chose to practice prenatal yoga for stress reduction. It was love at first practice! She practiced for several years before becoming certified the summer of 2014. While in the beginning of her yoga instruction, she was approached by the group X manager at the gym she was working at about teaching new BARRE classes, which, after all of the dance experience she had, was perfect! She certified quickly and has loved helping women, and occasionally men, feel healthier and happier in their own bodies. She enjoys spending time with her family and friends, and doing things outside, like gardening, snowboarding, hiking, biking, and riding quads. She believes life is short, and you should spend it with who you love. She loves her family and her students. She wants to create a fun and safe space to laugh and work and breathe and exist. Jennifer Kramling is a certified 200hr RTY instructor. She recently relocated here from Las Vegas NV where her yoga journey began. In early 2010 she realized her mind, body and soul were in desperate need of healing. With the help of a close friend, she discovered the practice of yoga and its wondrous healing effects. In October 2013 she immersed herself in a journey of self discovery where she completed her teacher training in Costa Rica. Under the guidance of Paula Tursi and Peter Kaaberbol, she spent her time there studying yoga, meditation and Thai massage. That experience changed her life and started her on a new path of helping others to heal their own mind, body and soul. As a trained massage therapist, Jennifer brings a hands-on approach to her style of teaching. I started practicing yoga in 2004, and slowly started developing a home practice, with the asanas I learned in class. I used those asanas daily as a way to balance my body after working long hours as a massage therapist. I fell in love with yoga even more in 2010 while doing prenatal yoga. I realized how much the breathing and practice of yoga helped connect me with myself and my baby. Also it made me feel grounded in a time that can be challenging with the many changes of pregnancy and becoming a first time parent. I decided to get my 200hr RYT in 2015. After 14 years of being a massage therapist and working in a chiropractic office, I saw the tension, pain, and injury cycle happen over and over again. I felt that yoga is the best way to help people and hopefully break that cycle. So I feel that a person with less tension and pain has more energy and is a happier person. Allowing them to enjoy their life and loved ones more & have the energy to do the things they love. Which to me makes the world a better place. Shari grew up surrounded by nature in the foothills of Sequoia National Park. Yoga was sporadically a part of her life since she was young until it became a passion when she was challenged by her first heated Vinyasa class in 2012. Being a diverse athlete of swimming, running, Crossfit, ballet, rock climbing, mountain biking and cycling the initial attraction to yoga was for the physical benefits of flexibility. What made her pursue yoga as a lifestyle and career were the mental benefits she observed off her mat. Shari felt more relaxed, happy, and overall in a more positive mood day to day in addition to physically leaning out and her cardio had noticeably improved in all other sports she participated in. That is when she realized yoga challenges your body in class and has continued effects on your mind that linger after you step off the mat. Shari received her 200 hour yoga certification through Corepower Yoga Tustin in April 2013 and has been teaching ever since. Her classes provide a supported and safe space for new and senior students to be challenged physically and mentally and leave class feeling successful. Hailing from Three Rivers, Meaghan grew up informed of the benefits of stretching and holistically caring for her body. In 2008 when she was living in LA and recovering from traumatic soft tissue injuries from a car accident, she began attending formal yoga classes. Over the next decade, yoga incrementally became a more important part of Meaghan’s daily routine. Her yoga practice, which started out of necessity for pain management and overall physical health, has organically morphed into a spiritual practice and lifelong journey of Self-Care. Meaghan’s 15+ years of training in classical dance (ballet, post-modern, contemporary, jazz, musical theatre, and hip-hop) is very much alive in her yoga teaching style. Her fluid sequences and infatuation with human anatomy borrow inspiration from her dancing days. Since completing her 200 hour teacher training in February of 2018 on the Big Island of Hawaii with Peak Beings Yoga, Meaghan has been teaching yoga to all ages, body types, and abilities. Meaghan is an avid lover and seeker of movement in many forms. From dancing, hula hooping, and fire spinning to hiking, rafting, caving, and climbing, Meaghan has always loved to move and use her body. She is proud to say that it has been through her love affair with yoga that she has learned the value of being still.